I am a trained Integrative Psychotherapist and Counsellor. 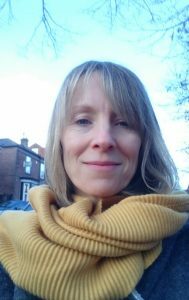 I have a Master’s in Science from the University of Derby and have worked as a psychotherapist in the charity and education sector, and in private practice. I have experience of supporting clients with a range of issues, ages, ethnic and cultural backgrounds, professions, and physical and learning abilities including autism. Prior to becoming a psychotherapist I worked for fifteen years in education and then in the voluntary sector in addiction recovery, youth offending and probation. I liken the process of psychotherapy to a journey; a journey travelled at your own pace, enabling you to learn about yourself and to understand and connect with thoughts and memories that are held in your mind and your body. With each new understanding and change of thought, feeling and emotion you will connect with a greater truth about who you are and what you wish to change in order to live a more fulfilled life. As an integrative therapist I believe that we all experience the world in our own unique way, therefore there needs to be different ways to explore our experiences and how they affect us. In our sessions I will use a range of therapeutic approaches that best fits your personality and the problems you are facing. My aim is that we work together to find what works best for you and to create an environment where you feel safe to discover and be your true self. I draw upon Attachment, Person Centred and Cognitive Behaviour Therapy in addition to a range of other therapeutic approaches. I can include education within the sessions about how the brain works and the theory behind the approaches we use. I also draw upon visualisation and sensory techniques to focus on how our body feels in response to our mind; these can be highly effective in helping heal the impact of trauma, manage anxiety and depression, and build resilience.